Do you have intrusive, violent thoughts about hurting or harming someone? Do these thoughts make you wonder, “What kind of person thinks such things? Does thinking these thoughts mean I secretly want to do them? What if I snap and actually do them?” This kind of thinking may be caused by a sub-type of Obsessive Compulsive Disorder (OCD) that is known as “Harm OCD”. Many sufferers of violent obsessions are very secretive about their thoughts. Not knowing that they have a form of OCD that is treatable, some live in fear and isolation for many years. Because of the extreme nature of these thoughts, many individuals with violent obsessions are reluctant to seek help from a professional, fearing that they may be labeled, or worse, reported. The unwanted thoughts and fears related to Harm and Violence OCD can seem extremely shocking to OCD sufferers and their families, as well as therapists who are not trained to recognize that these are intrusive thoughts caused by OCD, but believe that the person consciously or unconsciously wishes to do the things he/she is obsessing about. It is important to stress that these are just thoughts that are involuntarily produced. Individuals who are tormented with these thoughts do not have violent histories and these thoughts are not fantasies or urges that will be acted upon. Because many of these thoughts are bizarre or extreme, the individual who is suffering from these thoughts is tormented by intense guilt and shame. They wonder almost daily, “How can I be absolutely sure that I won’t snap one day and act on my terrible thoughts?” Because these thoughts of harm or violence are so distressing to the individual who suffers from them, compulsions, neutralizing and avoidance strategies are performed in order to alleviate the discomfort brought on by the violent intrusive thoughts. Although these compulsions, neutralizing and avoidance behaviors at first seem to offer relief from their discomfort, they quickly begin to become as big as the problem itself, often taking up hours of time every day. Unfortunately these solutions do not work, but serve instead to worsen the disorder and bring on anxiety and depression. Fortunately, there are effective treatments for Harm OCD. The disorder can be helped with Exposure and Response Prevention (ERP), a type of cognitive behavioral therapy (CBT) that is designed to help individuals with violent obsessions face their unwanted thoughts while resisting their urges to avoid, neutralize or do compulsions. 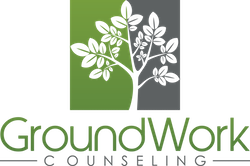 At GroundWork Counseling, therapists trained in exposure and response prevention (ERP) will help sufferers by creating assignments that are specifically tailored to each person’s symptoms and are designed to reduce anxiety and eliminate compulsive behaviors.